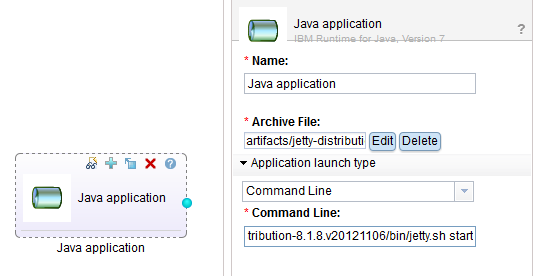 – The Java application itself: With this component you can upload an installation file and launch it. – The Additional archive file: This components allows you to upload an extra archive file on the server. – Generic listener and target which are used to setup the firewall rules. – Monitored file: Allows you to monitor application log files via the Workload Service Console. I have a Eclipse RAP application and I would like to run it on the IBM SmartCloud Application Services using the IBM Application Patter for Java. As the Eclipse RAP IDE provides testing tools using Jetty, I decided to install Jetty on SCAS. As you know, SCAS, IBM PureApplication and IWD use the same technology and thus this scenario is application for these three IBM Solutions. 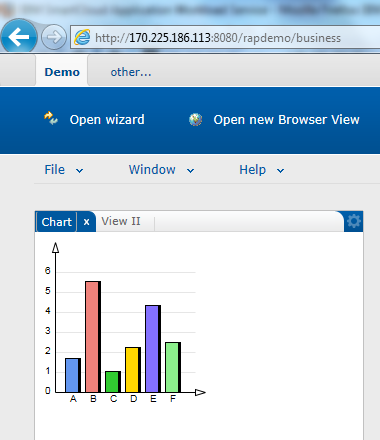 First, I reused the Eclipse RAP Demo to create a war file containing the application (more information at RAP Examples and Deploying a RAP Application to a Servlet Container?). 1) Use the Java Application Component. 2) Drag and Drop and Additional archive file. 3) Include a Generic listener to open the firewall on port 8080. 4) Setup the Monitored file component. The Java application component takes an archive file which will be unzipped on the server and then class or a command line can be launched.Here as I would like to start my Jetty, I launched the command-line “jetty.sh start” from the bin directory. My application is a war file, I can use the ‘Additional archive file’ component to upload this war file to a specified directory. I have to link also the archive file component with the Java application. We have to open the port 8080 on the “Java Application Server” and to do that I use the “Generic listern” component. I can aslo limit the access to IP addresses by specify a mask. 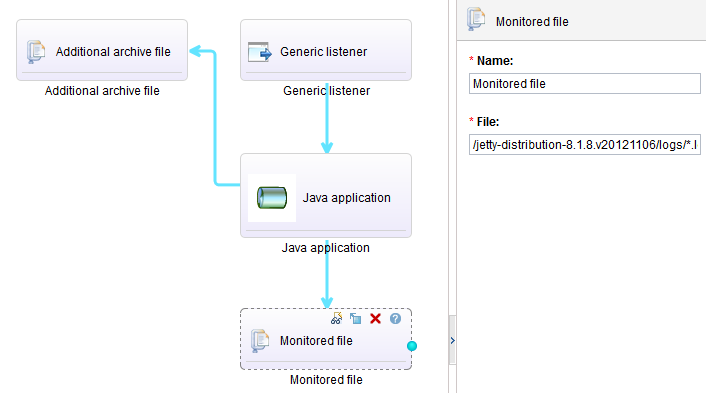 Of course, I have to link the ‘Generic Listener’ to the Java application too. Again, I have to link the ‘Monitored file’ component to the ‘Java application’ component. Now, I can save and launch my pattern. When the deployment is ready, I can access the application. 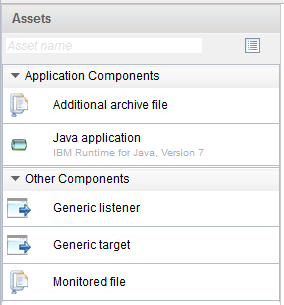 Conclusion: As you can see with the IBM Application Pattern Type for Java, we can run any type of Java applications, manage the firewall and monitor the log files. I would like you send me a copy of this article and more technical information. Thank you.